An Evening With the Escher Quartet | The Chamber Music Society of Lincoln Center. The music world is exploding with string quartets, and the more there are, the higher the standard is set. 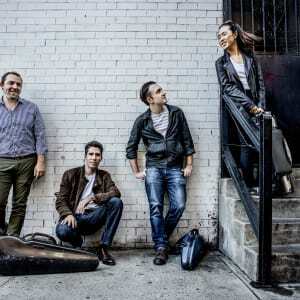 The Escher Quartet, whose first prominent performances were as an ensemble of The Bowers Program, has emerged as one of a handful that have reached the loftiest levels of technical perfection, musical integrity, and performance charisma. CMS is proud to present them in a program of the quartet’s own design.